The NAS report has been released and is found here. We are grateful that the National Academy of Science (NAS) recommends stopping cruel roundups but we challenge their decision to control alleged overpopulation like a domestic herd with humans deciding who survives and breeds. 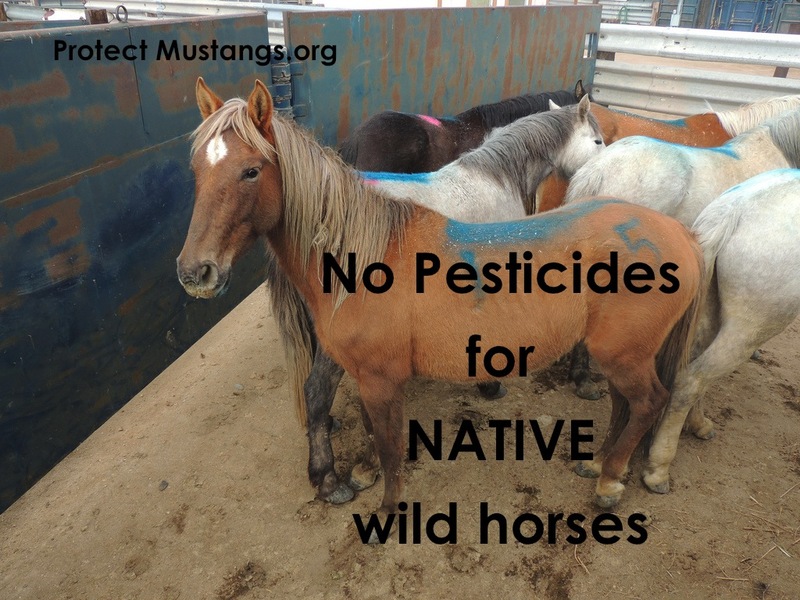 NAS deploys the BLM overpopulation myth to push EPA restricted use PESTICIDES (Immunoconraceptive PZP & GonaCon®) as well as sterilization on Native #WildHorses. This is part of the plan named after Ken Salazar, the previous Secretary of Interior, whose mission was to wipe wild horses off public land, stockpile them at taxpayer expense and send many into the alleged slaughter pipeline. The Salazar Plan began in 2009 -10, despite public outrage. Its focus was to remove wild horses and burros to facilitate the energy and water grab on public land. The renewables market abroad is hot. Fracking and exporting natural gas through pipelines across the West is causing environmental damage. Wild horses would require mitigation so they lobbied for the BLM to get rid of them. 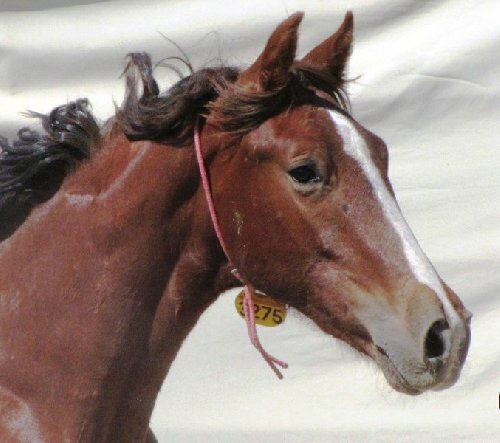 The Salazar Plan feigns an overpopulation crisis to remove most native wild horses from their legally designated ranges and stockpile them in government holding. They are torn from their homes, families and at risk of being sold to probable slaughter. Overpopulation is a MYTH used to ruin native wild horses. There are maybe 18,000 wild horses left on more than 31.6 million acres of public land designated for their use. They are reproducing at a higher rate because nature knows they face extinction from the gluttony of roundups since 2009. Immunocontraceptives are risky. Sterilizing them is wrong. Put the 50,000 in holding back on the range so they can fill their niche in the ecosystem. We are witnessing the final attack on the indigenous horse and it must be halted. 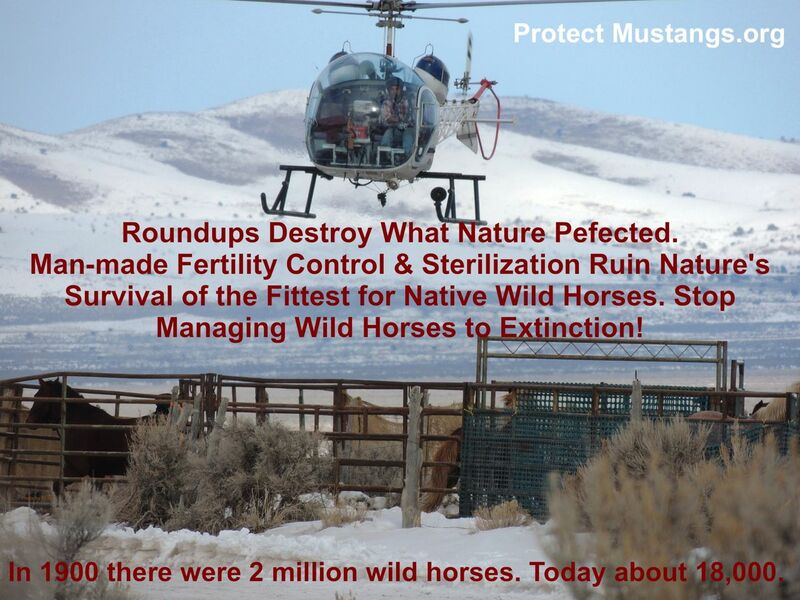 Man-made fertility control will domesticate wild horses and wipe them out. Survival of the fittest is Mother Nature’s way to select who breeds to protect the herd. Domestic horses are manipulated by man. Their weaknesses are evident as a result. 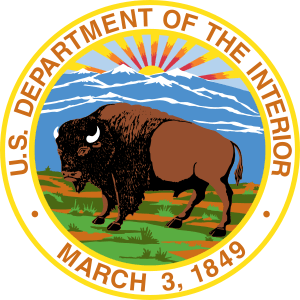 The National Academy of Science’s findings clearly state that the Bureau of Land Management (BLM) has failed to provide accurate estimates of the nation’s population of wild horses and burros. Therefore, the NAS cannot conclude that a state of over-population exists and or provide a recommendation for artificial management considerations such as “rigorous fertility controls” to control populations for which the complex population dynamics are currently unknown. However, the NAS is recommending science-based methods to improve current management practices, population estimates, and the overall health of the ecosystem which could provide key information toward sustainable and effective management that could prevent the removal of wild horses and burros from our public lands. 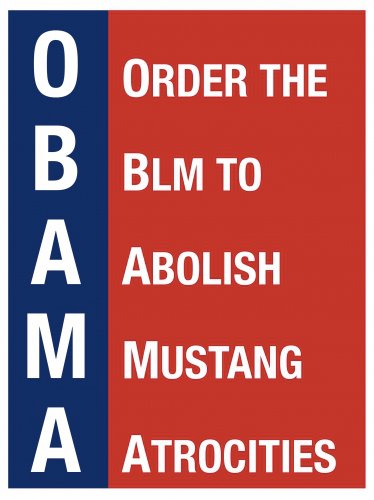 BLM plans to use “aggressive birth control” to prevent the expansion of the wild horse/burro populations that remain. Chief among the drugs to be used is PZP (porcine zona pellucida). This injected drug covers the eggs, or ova, of mares, preventing sperm from fertilizing them. It is experimental, however, and has some questionable effects upon the horses themselves, both individually and collectively. For example, its effect leads to mares’ repeatedly recycling into estrous, thus stimulating stallions to repeatedly mount the treated mares — all to no avail. This frustrating situation causes much stress among individuals of both sexes and a general disruption of the social order, both within bands and, as a consequence, within the herds themselves. Other unintended consequences of PZP are out-of-season births occurring after PZP’s effect has worn off after a year or two. These births have been observed during the colder late autumn and winter seasons (e.g. Pryor Mountains her by G. Kathrens) and their un-timeliness causes suffering and death among both foals and their mothers. 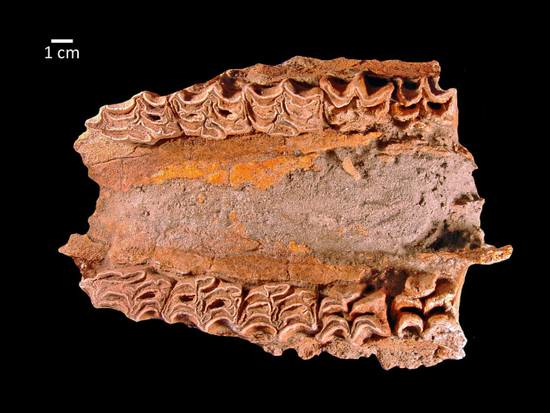 The underside of a skull, showing palate and teeth, of Equus scotti is seen in this photo provided by the San Bernardino County Museum. 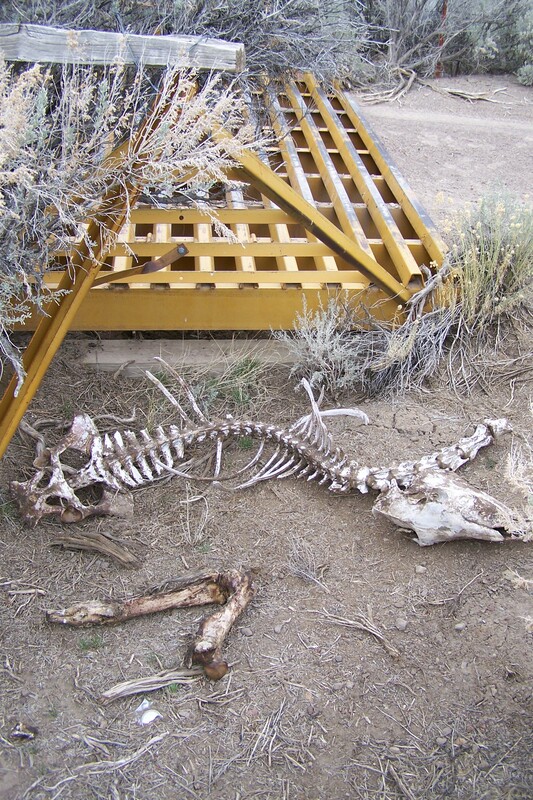 The remains of the Ice Age horse were found for the first time at Tule Springs in Nevada. PZP and other fertility control should NOT be used on non-viable herds. 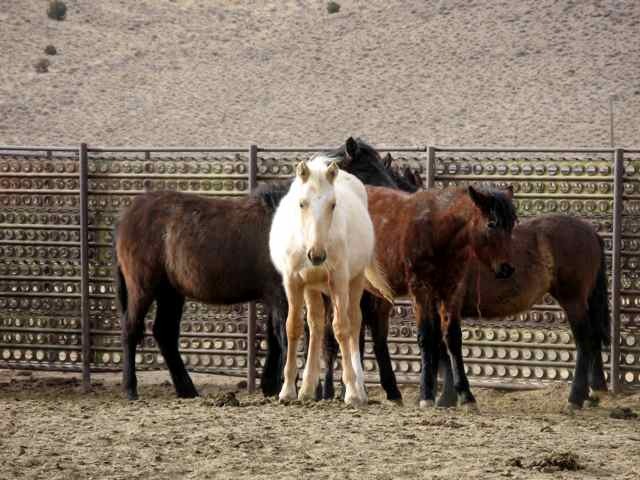 Most of the remaining herds of wild horses are non-viable. 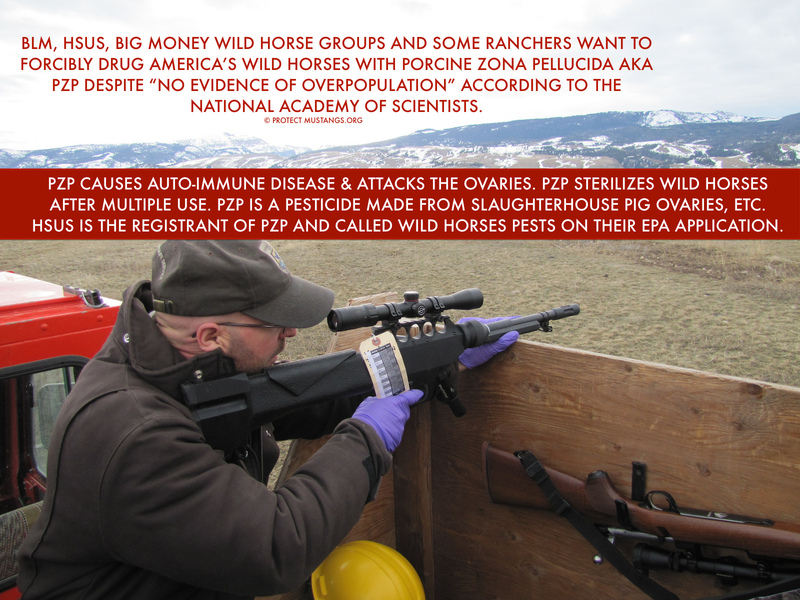 The NAS and any advocacy groups that are pushing PZP and other fertility control have not carefully studied all of the caveats in Dr. Gus Cothran’s genetic analysis reports along with the remaining population of each herd of wild horses. 1. Wild horse mares that are darted with PZP can become permanently sterile, making the viability of the herd impossible as the older mares die, there are no mares to have foals. 2. If the Lead Mares are darted with PZP, they can become sterile, making the family herd disorganized; the stallion does not understand why she won’t foal; and she may leave the family herd she knows because of the disorientated. 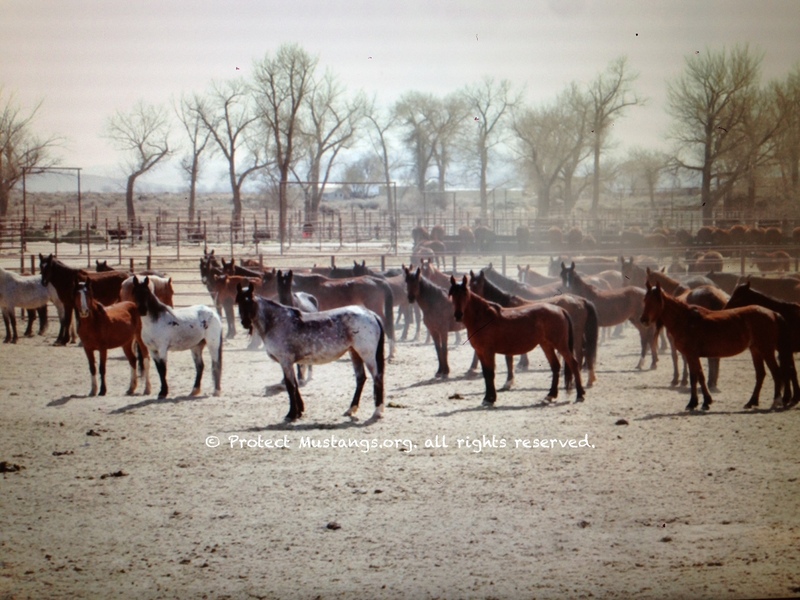 This has happened with older mares as they are not able to foal and they are the lead mares, leaving no mare to teach them where to graze, find minerals, water, or when to do certain things that wild horse herd families do. 3. The mares who are pregnant after they have been darted with PZP can and do foal out of season. This means that they can not keep enough milk for the foal; and the winter weather is too harsh for the foal to survive. Prognosis: death. 4. Considering the consequences stated above, this is too risky a business to lay at the feet of an already depleted wild horse herd. It must be taken into consideration that PZP is just as dangerous as a mountain lion, it is permanent, and it is deadly. To its credit the extensive review of the BLM’s failed Wild Horse & Burro Program criticized the agency for relying primarily on aggressive culling of wild herds primarily via helicopter roundups which “perpetuate the overpopulation problem by maintaining the number of animals at levels below the carrying capacity of the land, protecting the rangeland and the horse population in the short term but resulting in continually high population growth and exacerbating the long-term problem” the National Academy of Sciences” declared in a preliminary press release. What they’re referring to is the principle of compensatory reproduction by heavily-stressed wildlife populations needing to rebound from population declines due to many factors. Unfortunately, they quickly recommend a different intervention as a better solution without considering the ‘ do nothing” or ‘placebo’ option which is an integral component of every credible field trial for pharmaceutical and other ‘treatment plans. Had they searched for examples of herds which have undergone minimal or no culling in the past decade or so, they would have found multiple examples of herds which appear to have achieved homeostasis (equilibrium) or something approaching it, naturally, i.e. without BLM-sponsored roundups or fertility treatments. At least two mustang herds I’ve observed and filmed in Nevada and Arizona over the past 5-7 years meet those criteria, and some burro herds as well. The important point to remember, is that all of those herds cost the taxpayer virtually zilch to maintain in the wild. This contrasts with the cash-intensive hands-on management strategy revolving around helicopter roundups, warehousing of captured animals for life in long term and short term corrals and feedlots, as well as the fertility treatments, -the least costly and disruptive of these predominant management methodologies. The bottom line is that sometimes we can do more, and do better, by doing less, or by letting Mother Nature do what she does best: sow and weed. Hopefully, this option is explored somewhere in the freshly released report, and will be actively considered by the new hierarchy at BLM and the Dept. of Interior, and with much more intensive collaboration with wild equine afiscionados committed to the survival of these herds in the wild as intended by the Free Ranging Wild Horse & Burro Act of 1971. 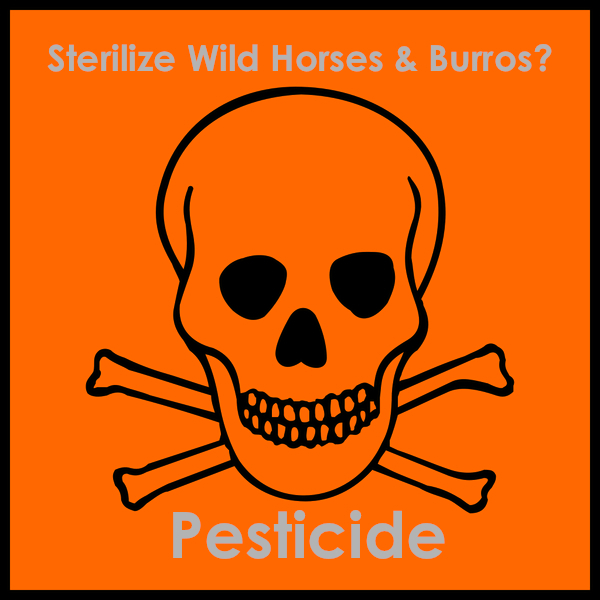 “Whether wild horses are sterilized or chemically “contraceptized”, at stake are the forces of natural selection being usurped by what will be tantamount to a program of “domestication eugenics” — humans determining who gets to breed and who doesn’t in wild horse country. If that door is opened, we will have turned drug companies and profiteers loose on our wild horses. We now know with certainty that such veterinary/medical interventions cause laminitis, colic, and other types of metabolic breakdown and disease. More drugs will then be needed. Thus, more profits will be pocketed. A brutal cycle is unleashed that causes harm to any horse, wild or domesticated. 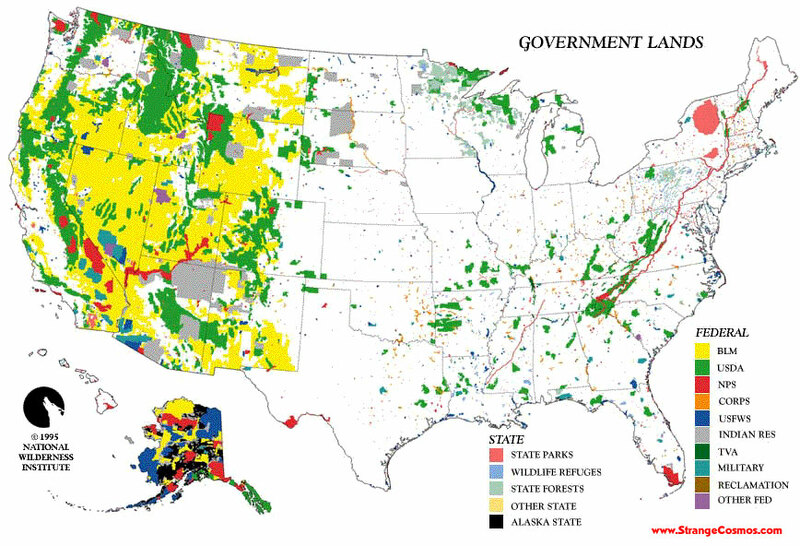 “…What we are talking about here is the de facto domestication and subsequent contamination and destruction of America’s wild, free-roaming horses. It is bad enough what we’re also doing to another 51,000 who are captured, and stand idly by at tax payers expense in government holding corrals and private “preserves”? Support the misguided’s push to turn wild horses into pathological parodies of their personal horses? No thanks! “The AANHCP offers another vision for genuine wild horse preservation that clear thinking people should be able to understand. This vision will do all things that eugenics can never do. And humanely so without compromising natural selection or burdening the tax payer. So, if you really want to help our wild horses, say no to the Obama Administration and the National Academy of Science’s “zero them out” for the corporate land grab, say no to [any] eugenics visions, and no to the drug companies and PZP (and other) pharmaceutical patent holders hungering for the ovaries, testes, and DNA of our America’s wild, free-roaming horses in the name of profiteering at the animal’s genetic expense. PZP is a pathogen derived immunocontraceptive vaccine, it SHOULD be intended for use ONLY in captive animals. PZP stands for Porcine Zona Pellucida. This, and other immunocontraceptive vaccines are derived from pathogenic bacterias. PZP contains Mycobacterium tuberculosis, the organism that causes tuberculosis in humans and many species of livestock, including cattle. The bacterial component of the vaccine is supposed to be a killed form, but due to the potential for bad lots causing live tuberculosis to be transmitted to humans and animals, and due to concern over the possibility of contaminating the food web, PZP would have been unlikely to recieve approval by the FDA. Instead, the EPA approved PZP as a pesticide, leaving public health professionals in ignorance of the biological nature of this vaccine. It remains unclear whether the restrictions for use allow for any PZP treated animals to be released into the wild. While such a release could pose an ongoing threat to public health for both humans and animals, the effectiveness of PZP as an immunocontraceptive vaccine is negated by only 10% immigration or emmigration into treated herds, according to a study conducted by Texas Parks and Wildlife with captive, white tail deer. A recent clinical study in cats treated with PZP found a high percentage of injection site abscesses. Rumours of abscesses occurring in horses treated with PZP by the BLM has raised the spectre of possible bad lots of vaccine already having been used. Human exposure to tuberculosis could possibly be a concern and it is recommended that all BLM agents and equine advocates who have come in contact with the vaccine, or with treated animals, be tested for tuberculosis, to ensure the bio-security of the public. Absence of any data indicating mortality, either on-the-range or in holding. Denial of ‘reciprocal’ breeding, that is, the animal’s biological imperative to replace what’s been taken. Absence of knowledge of specific herds and their behaviors, key factors in determining accuracy of foaling rates, which often fall far below the National average of 20%. On-the-range herd management must be as accurate as possible, visually documented for Public use and managed through science and study. How can effective management occur if the basis of all aspects is ‘estimate’? Check back for more statements from wild horse and burro influencers. We are updating this page.